BELIZE CITY, Mon. Oct. 3, 2016–Even in death, popular Carnival dancer, a reveler of Soca Moca Carnival Band, Debbie Humes, 39, of Mayflower Street, the mother of three children, is not resting in peace. 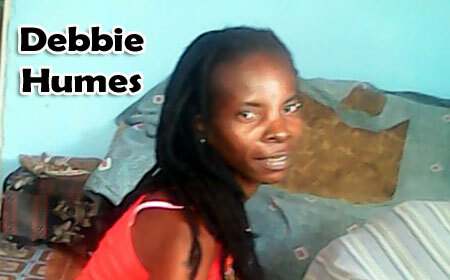 She was buried in the wrong grave at the Lord Ridge Cemetery last Saturday, said her family. Humes was killed at about 5:50 Friday, September 16, when the house, which was the headquarters of the Soca Moca on Dolphin Street collapsed and fell on her and some other carnival members. Humes was crushed, and died due to massive injuries to her internal organs. Her aunt told us that since her burial last Saturday, she came to them in dream, saying she was not content and was not resting. The aunt said that she should have been buried in her aunt’s grave, but she was mistakenly buried in the grave of a man identified as “Pigeon” Jones, who died 20 years ago. Reports to us are that her aunt’s grave was opposite Jones’ grave. Jones’ sister-in-law, who was at Humes’ funeral, saw what had happened and called Humes’ mother, pointing out the huge error. They both agreed that the situation could have been rectified by reburying her again, but this is difficult now, because she has now been entombed. Jones’ mother told us that they are not happy, because her older brother is terminally ill and has been given up by doctors, and could die anytime now, and he would have been buried in that grave. Adding to the confusion for Jones’ family is that the cemetery administrator said that Humes was buried in the correct grave, but the man who put the headstone on the aunt’s grave years ago put the stone on Jones’ grave by mistake. The administrator was adamant that the mistake was made by the worker in the cemetery. Jones’ mother said that all she wants is to get back her grave to bury her brother there.